Other features include: Convertible, Leather Seats, Navigation, Power Seats, Rear Camera, Remote Start, SYNC Connect... This vehicle comes with a bumper-to-bumper limited factory warranty that ends 4/5/21 or 36,000 and a powertrain limited factory warranty that ends 4/5/23 or 60,000. Price does not include applicable tax, title, license, processing and/or documentation fees, and dealer service fees. Other features include: 3.5L Ecoboost, Active Park Assist, Adaptive Cruise, BLIS (Blind Spot Info System), Heated Seats, Cooled Seats, Leather Seats, Navigation, Tow Package... This vehicle comes with a bumper-to-bumper limited factory warranty that ends 10/12/20 or 36,000 and a powertrain limited factory warranty that ends 10/12/22 or 60,000. Price does not include applicable tax, title, license, processing and/or documentation fees, and dealer service fees. Other features include: BLIS(Blind Spot Info System), Heated Seats, Leather Seats, Lane Keeping, Navigation, Rear Camera, Remote Start, SYNC Connect... This vehicle comes with a bumper-to-bumper limited factory warranty that ends 9/1/20 or 36,000 and a powertrain limited factory warranty that ends 9/1/22 or 60,000. Price does not include applicable tax, title, license, processing and/or documentation fees, and dealer service fees. Other features include: Cruise Control, Dual Power Seats, Heated Seats, Only 7k Miles, Rear Camera, Remote Keyless Entry, Technology Package... This vehicle comes with a bumper-to-bumper limited factory warranty that ends 11/13/20 or 36,000 and a powertrain limited factory warranty that ends 11/13/22 or 60,000. Price does not include applicable tax, title, license, processing and/or documentation fees, and dealer service fees. Other features include: Adaptive Cruise, BLIS, Heated Seats, Leather Seats, Heated Steering Wheel, Remote Start, Safe & Smart Package, SYNC Connect... This vehicle comes with a bumper-to-bumper limited factory warranty that ends 6/19/21 or 36,000 and a powertrain limited factory warranty that ends 6/19/23 or 60,000. Price does not include applicable tax, title, license, processing and/or documentation fees, and dealer service fees. Other features include: Adaptive Cruise Control, BLIS (Blind Spot Info System), Heated Seats, Leather Seats, Rear Camera, Remote Start, Safe & Smart Package, SYNC Connect... This vehicle comes with a bumper-to-bumper limited factory warranty that ends 4/19/21 or 36,000 and a powertrain limited factory warranty that ends 4/19/23 or 60,000. Price does not include applicable tax, title, license, processing and/or documentation fees, and dealer service fees. Other features include: 4WD, Alloy Wheels, Bucket seats, Power Seat, Rear Camera, Remote Start, Tow Package... ___This is a Johnson Motors Original! 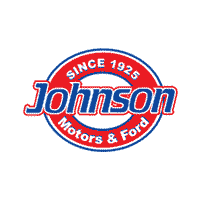 That means it was originally purchased, serviced and traded-in all at Johnson Motors. ___ This vehicle comes with a bumper-to-bumper limited factory warranty that ends 3/24/20 or 36,006 and a powertrain limited factory warranty that ends 3/24/22 or 60,006. Price does not include applicable tax, title, license, processing and/or documentation fees, and dealer service fees.